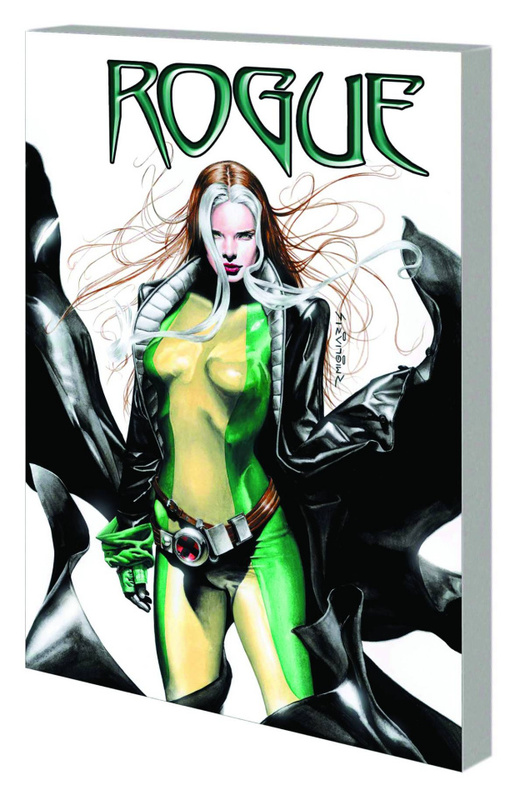 During her time with the X-Men, the mysterious young woman known as Rogue has been many things. Soldier, friend, student...and daughter. But when a mission brings her back to her childhood home in Mississippi, Rogue comes face-to-face with the demons in her past - and a terrible secret that has haunted her family since her birth! With Gambit on hand to help out, Rogue must discover her parents' fate! Then, when a photograph surfaces of Rogue and Mystique during their time in the Brotherhood of Evil Mutants - a photograph that Rogue has no memory of - her search for the truth takes her all the way to Japan! And during clashes with Sunfire and Lady Deathstrike, a traumatic encounter will leave Rogue drastically changed! Who is Blindspot - and is she Rogue's best friend, or greatest foe? Collecting ROGUE (2004) #1-12.